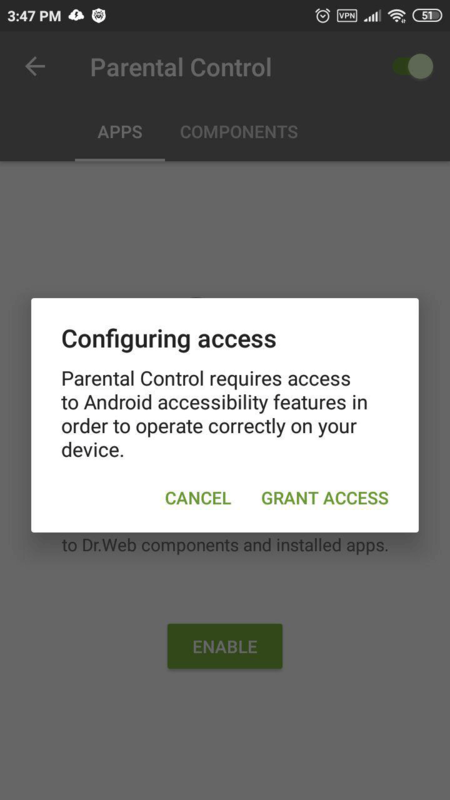 How can I enable Parental Control on my Android device? — Dr.Web — innovative anti-virus technologies. Comprehensive protection from Internet threats. 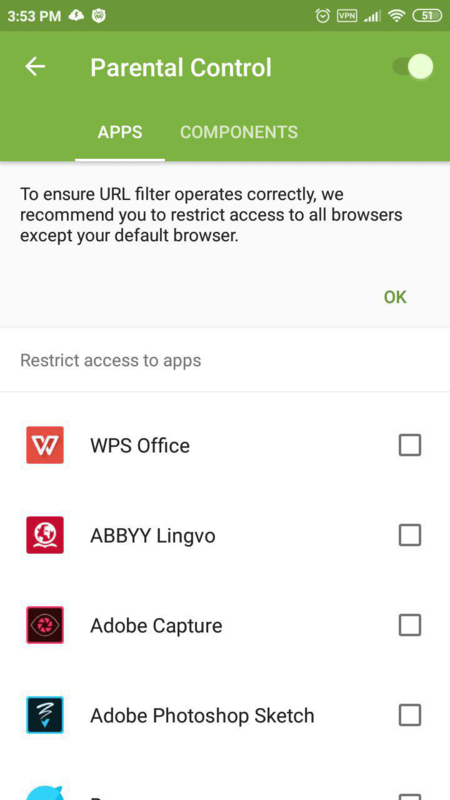 How can I enable Parental Control on my Android device? 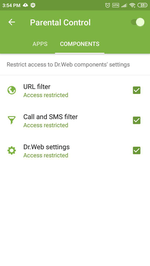 Dr.Web for Android Parental Control will protect applications from unauthorised access and anti-virus settings from tampering by outsiders or children. 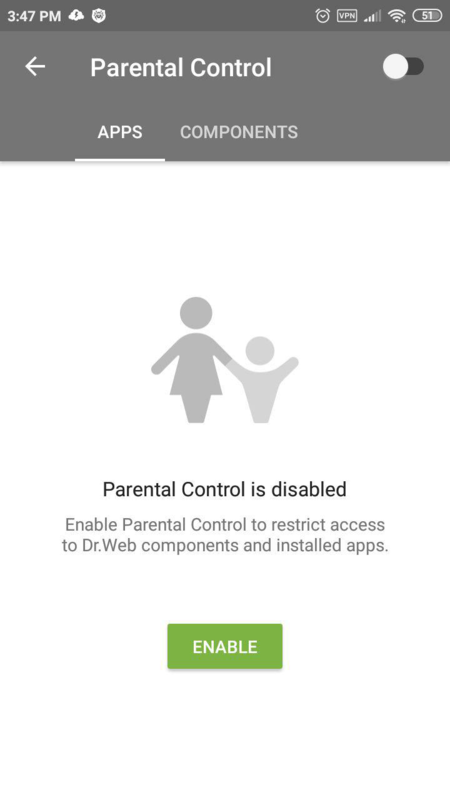 But first Dr.Web Parental Control must be enabled. 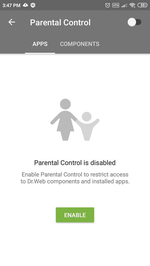 Select Parental Control in the Dr.Web menu. Click on the Enable button or on the switch in the upper-right corner of the window. 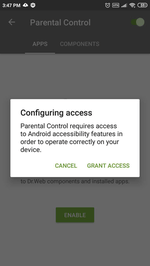 Grant Parental Control access to Android’s special features by clicking on Grant access. 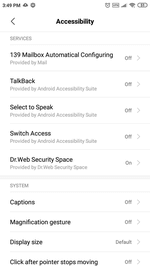 In the Special features settings window, click on the Dr.Web Security Space button. 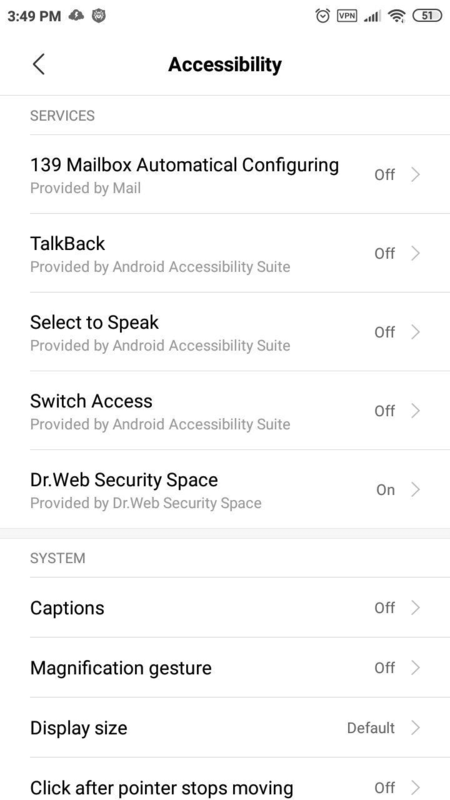 Use the switch to enable Android’s special features. Close the configuration window for special features. 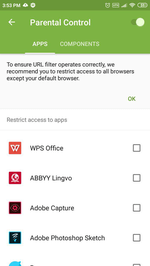 Go to the Applications tab, and select Settings — this will block unauthorised access to the system’s settings. 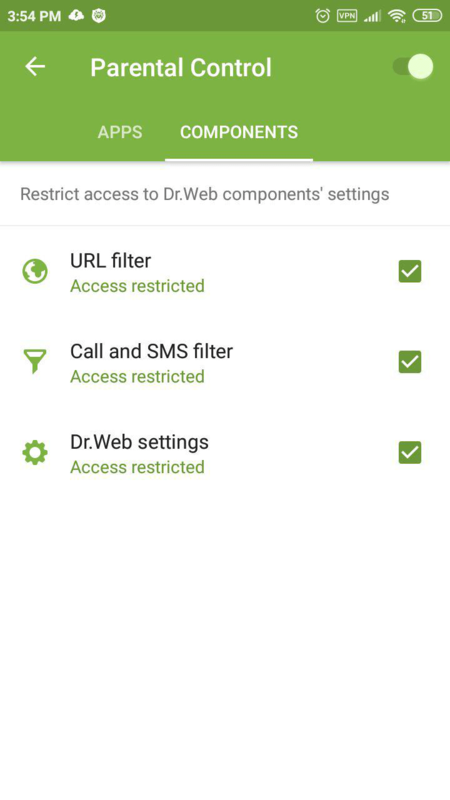 In the Components tab, select all the items—after this, a password will have to be entered to access the selected Dr.Web protection components.